BRAC Bank Limited is a scheduled commercial bank in Bangladesh. It established in Bangladesh under the Banking Companies Act, 1991 and incorporated as private limited company on May 20, 1999 under the Companies Act, 1994. Its operation started on July 4, 2001 with a vision to be the market leader through to providing all sorts’ support to people in term of promoting corporate and small entrepreneurs and individuals all over the Bangladesh. BRAC Bank will be a unique organization in Bangladesh. The Bank consists of major divisions named 1) Corporate banking, 2) Retail banking, 3) Treasury, 4) Small & Medium Enterprise (SME). At present the Bank operating its business by 26 Branches. BRAC Bank is the first local commercial banks that proving online banking service to its customers from the very beginning of its starts. BRAC Bank, for the first time among local commercial banks, starts providing loan facilities to small and medium trading, manufacturing and service oriented enterprises all over the country. Through this report an individual can expect to have a good knowledge and understanding on the various methods of operation performed by BRAC Bank Limited particularly in the area of Financial Institutional Services. From the last three months of the bank’s disbursement, everything is tried to include in precise form. I have tried my level best to put more emphasis on the SME loan and its recovery process since it was the topic of my internship program. This report is to be used only for the academic purpose. I have collected all the necessary and relevant data from various primary, secondary and tertiary sources. After three months long hard labor, it has become possible for me to make the report comprehensive and factual. The data is truly and strictly confidential and no one can use its components in full or partial. I would like to give thanks to everyone who has helped and encouraged me in the process of preparing this report. This report is the result of three month internship in BRAC BANK LIMITED. I enter as an internee in BRAC BANK LIMITED beginning from July 01. 2010 to August 10. 2010. And I have completed this internship period successfully. This internship report contains all the information that I gather at the time of my internee in BRAC BANK LIMITED. My topic is Analysis of Repayment behavior of the SME loan borrowers Of Brac Bank limited. All these information will help the management to identify various scopes and limitations of the Institution and Project department and to take decisions regarding the improvement or reengineering of this Department. This is the basic rationale behind the study. Besides, it would be a great opportunity for me to get familiar with this system. So this study is very significant for both the company and me. They satisfy my work and give an opportune job. Now this time I am a employee on Brac Bank Limited. Retail Banking Operations (RBO). Scope of the study is quite clear. Since Asset Operations Department is dealing with all types of loan activities in the bank, studying these core themes, Opportunities are there to learn other aspects of SME matters. Small entrepreneurs of rural –urban spectrum are enjoying the BRAC Bank loan facility without the presence of bank at rural area. To know how the SME loan borrowers would behave in repaying their loan. To know whether SME loan borrowers are dully paying their installments or not. In fact, my aim was to collect as much information as it can be possible for me to make an overview of the bank, its mission and vision, its departments and its functions. Of course I had to collect enough information so that I can make an analysis of SME loan and the specific behavior of its borrowers. I have collected around forty customers’ information so that I could know something about their age, education, experience, loan repayment behavior and so on. The data collected allowed me to make an analysis regarding SME loan, its process starting from sanction of loan to closing of loan and especially regarding SME loan borrowers behaviors that is whether they are paying dully or lately or they have any default tendency. For collecting primary data is depth interview technique has been used through set of small rayed but very original and standard informal way will be used in the information. Primary data also collected b using questioner survey to the customer and employee. After collecting all the data they will be coded and data will be processed analyzed and graphically using MS word, Excel and MS word. Quantitative and qualitative data were collected and analyzed according to acceptable standards of practice. Different tables and graphs were used to make the data meaningful and comparable. Qualitative data were analyzed rationally and in comparison with current market condition. Necessary percentages and averages were calculated and the analyzed results were described step by step. I collected the 37 customer before BRAC bank loan purpose and after the loan taken purpose are used in the Questionnaire. The average Questionnaire administered time 25 min. for official and 20 min. for the customer. Population: The entire customer works in the local area of BRAC bank. Sampling unit: All the sampling unit of the every is on customer of BRAC BANK LIMITED. Sample frame: NO well structured sample frame is found. Sampling procedure: Non probability convenience sampling produce is used in the survey. Data collection: data use here was drawn mainly from secondary sources. Necessary dealing room operation executives were interviewed with in formal questions, branch management of generate boundary wad also interviewed with informal questions. This report handling of over all banking activity and customer relationship management are highlighted other secondary sources used are annual report of the bank. Data from BRAC Bank is highly confidential for the outside people and I had no authority to use the core banking software. BBL changes its core banking software, MBS to Finical that’s why all the employees are very busy with their work, sometimes I had to wait more than one week for a piece of information. Time is also a big constraint for my research. I have to submit a broader deal in a shorter form of outcome. It was difficult to communicate with the customers, as many of them were unable to give me much time for interview. As I have taken a sample of 37 observations, there may be sampling error. I had to go under my day to day job responsibility that I was supposed to do so. So I could get few more time to spend in collecting data for preparing my internship report. BRAC Bank Limited is a scheduled commercial bank in Bangladesh. It established in Bangladesh under the Banking Companies Act, 1991 and incorporated as private limited company on 20 May 1999 under the Companies Act, 1994. BRAC Bank will be a unique organization in Bangladesh. The primary objective of the Bank is to provide all kinds of banking business. At the very beginning the Bank faced some legal obligation because the High Court of Bangladesh suspended activity of the Bank and it could fail to start its operations till 03 June 2001. Eventually, the judgment of the High Court was set aside and dismissed by the Appellate Division of the Supreme Court on 04 June 2001 and the Bank has started its operations from July 04, 2001. The importance of financial intermediaries in the development of the overall economy of country cannot be described in short. From the inception of the civilization the banking sector dominate the economic development of a country by mobilizing the saving from the general people and channeling those saving for investment and thus economic development and growth. In ancient time, the importance of commercial banks after the ravage of the liberation war to develop a better economy was severally needed and it is needed now and will be required in future also. In time-to-time Government of Bangladesh agreed to permit the private commercial banking in the country. BRAC bank will be knowledge-based organization where the BRAC Bank professionals will learn continuously from their customers and colleague’s world wide to add value. It will work as a team, stretch, they will innovate and break barriers to serve customers and create customers loyalty through a value chain of responsive and professional delivery. The bank promotes broad-based participation in the Bangladesh economy through the provision of high quality banking services. BRAC Bank will do this by increasing access to economic opportunities for all individuals and business in Bangladesh with a special focus on currently under-served enterprises and households across the rural – urban spectrum. BRAC Bank believes that the pursuit of profit and developmental goals is mutually reinforcing. Increasing the ability of under – served individuals and enterprises to build their asset base and access market opportunities will increase the economic well being for all Bangladeshis at the same time, this will contribute significantly to the profitability of the Bank. BRAC Bank intends to set standards as the Market leader in Bangladesh. It will produce earnings and pay out dividends that can support the activities of BRAC, the Bank’s major shareholder. Development and poverty alleviation on a countrywide basis needs mass production, mass consumption and mass financing. BRAC Bank goal is to provide mass financing to enable mass production and mass consumption, and thereby contribute to the development of Bangladesh. BRAC Bank intends to set standard as the market leader in Bangladesh by providing efficient, friendly and modern fully automated online service on a profitable basis aiming at offering commercial banking service to the customers’ door around the country, BRAC Bank limited established 26 branches up-to this year. This organization achieved customers’ confidence immediately after its establishment. Within this short time the bank has been successful in positioning itself as progressive and dynamic financial institution in the country. It is now widely acclaimed by the business community, from small entrepreneur to big merchant and conglomerates, including top rated corporate and foreign investors, for modern and innovative ideas and financial solution. Thus within this short time it has been able to create an unique image for itself and earned significant solution in the banking sector of the country as a bank with a difference. The emergence of BRAC Bank Limited is an important event in the country’s financial sector at the inception of financial sector reform. The authorized capital of BBL is Tk. 1000 million and paid up capital of the same bank is Tk. 500 million. The Chairman of the Bank is Mr. Fazle Hasan Abed. Now the Managing Director of the bank is Mr. Imran Rahman. The bank has made a reasonable progress due to its visionary management people and its appropriate policy and implementation. SWOT analysis is an important tool for evaluating the company’s Strengths, Weaknesses, Opportunities and Threats. It helps the organization to identify how to evaluate its performance and scan the macro environment, which in turn would help organization to navigate in the turbulent ocean of competition. BBL has been founded by a group of eminent entrepreneurs of the country having adequate financial strength. The sponsor directors belong to prominent resources persons of the country. The Board of Directors headed by its Chairman Mr. F H Abed. Therefore, BBL has a strong financial strength and it built upon a strong foundation. The top management of the bank is also major strength for the BBL has contributed heavily towards the growth and development of the bank. The top management officials have all worked in reputed banks and their years of banking experience, skills, expertise will continue to contribute towards further expansion of the bank. At BBL, the top management is the driving force and the think tank of the organization where policies are crafted and often cascaded down. BBL has adequate physical facilities and equipments to provide better services to the customers. The bank has computerized and online banking operations under the software called MBS banking operations. Counting machines in the teller counters have been installed for speedy service ant the cash counters. Computerized statements for the customers as well as for the internal use of the banks are also available. This creates a positive image in the minds of the potential customers and many people get attracted to the bank. This is also an indirect marketing campaign for the bank for attracting customers. 13 branches of the bank are impressive and are compatible to foreign banks. BBL has an interactive corporate culture. Unlike other local organization, BBL’s work environment is very friendly, interactive and informal. There are no hidden barriers or boundaries while interacting among the superior or the subordinate. The environment is also lively and since the nature of the banking job itself is monotonous and routine, BBL’s likely work environment boosts up the spirit and motivation of the employees. At BBL’s mid level and lower level management, there are often team works. Many jobs are performed in groups of two or three in order to reduce the burden of the workload and enhance the process of completion of the job. People are eager to help each other and people in general are devoted to work. This is a major set back for BBL and one of its weakest areas. BBL’s adverting and promotional activities are satisfactory but it SME loan is not advertised well. It does not expose its SME product to general public and are not in the limit light. BBL does not have sign or any advertisement for SME loan in the city. As a result people are not aware of the existence of this bank. BRAC is one of the largest NGO of the world and it is operating its activities in Bangladesh. BRAC bank is not a NGO bank but many people of them country consider it as a NGO bank like Grameen bank which is not correct. The remuneration package for the entry and the mid level management is considerably low. The compensation package for BBL entry level positions is even lower than the contemporary banks. Under the existing low payment structure, it will be very difficult to attract and retain higher educated employees in BBL. Specially CRO’s are not satisfied with compensation package provided to them. Bank has adopted trust as a corporate value which is acronym for team work, respect for all people, unquestionable integrity, excellence in everything BRAC Bank of SME do, Sense of urgency in getting things done and total commitment. All employees are expected to conduct themselves in accordance with the rules and regulations of the bank. All the units are being operated in a centralized manner to minimize costs and risks. BRAC Bank Ltd has in total 900 unit offices, 80 zonal office, 12 territory and 1800 Customer Relationship Officers. These CROs work for the Bank to converge clients for getting the SME loan. Once CROs get the loan application and if it is less than 500,000 TK then zonal officer has the authority to approve the loan. But if it is above 500,000 then the CROs send it to Head Office for all necessary approval. After approving the loan then Asset Operation Department starts its work. As the scopes of businesses are growing, the amount of files and disbursement is getting bigger. In May 2007, AOD has processed 3249 files amounting Tk. 1,235,200,000. So SME Division’s success greatly relies on the performance. Up to April 2007, BBL provides loans for 70000 clients and in total 2265 crore TK. But the most important thing is only 17 crore TK is bad loan; this is a great achievement for SME unit of BBL. Currently they have 44147 outstanding clients and in total 1070 crore TK SME loan. 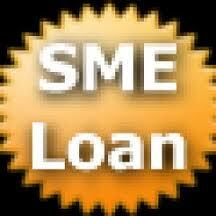 SME Loan process flow is shown below. Non-Funded facilities are those type of facilities where customers don’t get fund on their hand rather get Bank’s Guarantee service to do international trading-import and export. Letters of Credit, Bank guarantees etc. are the examples of the non-funded facilities. BRAC Bank Limited is fast growing commercial banks in our country. Bank has established a good operating network throughout the country. It has 71 branches throughout the country till June 2010. BRAC Bank Limited will be the most successful private sector commercial bank in our country, though it started its operation few years back. It has achieved the trust of the general people and made reasonable contribution to the economy of the country by helping the people investing allowing credit facility. To succeed in today’s competitive marketplace, organization must be customer centered and keeping them by delivering greater value. But before it can satisfy customers, organization must first understand their needs and wants. There are two many different kinds of consumers with too many different kinds of needs and some organization in a better position to serve certain segments of the market. In terms of SME of BRAC bank, their target customers basically small and medium enterprises. BRAC bank SME target Ed customers those who have minimum income of 40-70 thousand taka per month. Mostly entrepreneur’s incur country is illiterate. Some of them are higher secondary and BSC graduate. So SME mainly targeted those clients who actually understand his own business. There are three sectors of target customers which SME follows: Trading, Service and Manufacturing. Basically according to the clients demand, SME support them financially to enhance their business. The process of evaluating each marketing segment’s attractiveness and selecting one or more segments to enter. In terms of SME, the scope is specified which the target market is small and medium enterprise. But SEM is restricted on leather, jewelry and alcohol business. Arranging for a product to occupy a clear, distinctive and desirable place relative to accomplish products in the minds of target consumers. Formulating competitive positioning for a product and detailed marketing mix. To meet the customer demands, SME already establish different offices across the country. Before taking the loan CRO clearly defines to the clients regarding SME policies and repayment schedules. To positioning in the market, SME not only provide loan but also they give some valuable ideas to enhance the clients business and for economic development. Once a company has decided which segments of the market it will enter, it must decide what positions it wants to occupy in those segments. A products positioning in the way the product is defined consumers mind relative to competing product. Main head office of SME is in Dhaka city and rest of its unit offices are spread out surrounding the country. Each unit office consist of 2 or 3 CRO who provides door to door services, they even work at night. Many banks have field officers but could not carry out the unit office facilities. So BRAC bank can reach to the potential clients at anywhere in the country. The CRO of SME never say to the customer at the first impression that interest rate is 24%. They try to make understand to the clients mind that 2% per month or equal monthly payment as well as many benefits. Marketing is one of the major sectors for an organization which help the organization to reach to the goal effectively and efficiently. It is the process by companies creates value for customers and builds strong customer relationships in order to capture value from customers in return. Market Segmentation – The process of dividing a market into distinct groups of buyers with different needs, characteristics or behavior. Target Marketing – The process of evaluating each market segment’s attractiveness and selecting one or more segments to enter. Market Positioning – Occupying a clear, distinctive and desirable place relative to competing products in the minds of target customers. In achieving the target effectively marketing tools are used to provide the products to the customers. Marketing tools is known as marketing mix or 4ps. “Marketing mix” is a framework which acts as a guideline for marketers to implement a marketing concept. It consists of a set of major decision areas that a company needs to manage in order to at least satisfy consumer needs. According to Kotler Armstrong, the marketing mix is a set of “controllable tactical marketing tools [product, price, place, promotion] that the firm blends to produce the response it wants in the target market”. The marketing mix consists of everything the firm can do to influence the demand for its product. The product is the most important aspect of the marketing mix. Products have both tangible and intangible benefits. Tangible benefits include benefits which can be measured such as the top speed of a car. Intangible benefits are benefits that cannot be measured such as the enjoyment of the customer will get from the product. Exactly what product or service are you going to sell to this market? Define it in terms of what it does for your customer. How does it help your customer to achieve, avoid or preserve something? You must be clear about the benefit you offer and how the customer’s life or work will be improved if he or she buys what you sell. The amount of money customers have to pay to obtain the product. Many things influence prices, including the number of suppliers, the number of customers, and the availability of the product. Effective pricing for a product is very much important to keep current customers and potential customers. If the price is too high consumers will avoid the product as they will believe it to be too expensive yet if the product is priced too low they may believe that there is something wrong with the product for it to be so cheap. But in luxuries or fashionable products or in case of reputed brand product value pricing is important. So in here extra price should be charged for their values which differentiate it from others related products. In this case this statement the higher the price, the more you sell will be effective. So pricing of products should be taken very carefully so that customers can measure price with their expected quality. In consumer marketing channels we have to consider three main distribution channels. Promotion includes all the activities designed to bring a company’s goods or services to the favorable attention of customers. That means the steps or activities that communicate the merits of the products and persuade target customers to buy it. 5. Physical Evidence: The environments in which the reference and information service are delivered that performance and communication of the service. 6. Process: The procedure mechanisms and flow of the activity by which the reference and information service are acquired. 7. People: All human action who plays a part in reference and information services delivery namely the librating personnel. The most valuable natural resource of Bangladesh is its people. As a nation we struggled for our independence and now the attainment of economic uplift is the main goal. Micro lenders are working here in the financial field, providing very small amount and on the other hand regular commercial banks have been providing bigger amount of loans to larger industries and trading organizations. But the small and medium entrepreneurs were overlooked. This missing middle group is the small but striving entrepreneurs, who because of lack of fund cannot pursue their financial uplift, as they have no property to provide as equity to the commercial banks. With this end in view-BRAC Bank was opened to serve these small but hard working entrepreneurs with double bottom line vision. As a socially responsible bank, BRAC Bank wants to see the emancipation of grass-roots level to their economic height and also to make profit by serving the interest of missing middle groups. 50% of its total portfolio usually collected from urban areas, are channeled to support these entrepreneurs who in future will become the potential strength of our economy. Brac Bank is the market leader in giving loans to Small and Medium Entrepreneurs. They have been doing it for the last five years. The small enterprise, which requires 2 to 30, lacks Tk. loan, but they have no easy access to the banks/financial institutions. For example: In case of Anonno loan, an amount of 3 to 8 lacks is provided without any kind of mortgage. Every SME unit office will have a current account with a designate bank in the area of a unit office. This bank account will be opened and operated by SME head office. All the clients must open their account with the same bank account on the same day after receiving those from the borrowers, who should given a received as prescribed. Cheques should be deposited to the SME unit office bank account on the same day after receiving those from the borrowers, who should given a receipt as prescribed. Monitoring is a system by which a bank can keep track of its clients and their operations. So monitoring is an essential task for a CRO to know the borrowers activities after the loan disbursement. This also facilitates the build up of an information base for future reference. Through monitoring a CRO can see whether the enterprise invested the sanctioned amount in the pre-specified area of his business, how well the business is running, the attitude of the entrepreneur, cash credit sales and purchase, inventory position, work in process and finished goods etc, This information will help the CRO/BRAC Bank to recover the loan accruing to the schedule and to take the necessary decisions for repeat loans. Moreover, monitoring will also help to reduce delinquency. Constant visit over the client /borrower ensures fidelity between the bank and the borrower and tends to foster a report between them. The purpose is to know the entire business condition and all aspects of the borrowers so that mishap can be avoided. Select potential enterprise: For SME loan, in this step the CRO conduct a survey and identify potential enterprise. Then they communicate with entrepreneurs and discuss the SME program. Collect confidential information: Another important function of a CRO is to collect confidential information about the client from various sources. The sources of information are suppliers regarding the client’s payment, customers regarding the delivery of goods of services according to order, various banks where the client has account, which shows the banks transactions nature of the client. Open clients accounts in the respective bank: When the CRO decided to provide loan to the client then he/she help the client to open an bank account where BRAC bank has a STD a/c. BRAC bank will disburse the loan through this account. On the other hand the client will repay by this account. Although there is some exception occur by the special permission of the authority to repay by a different bank account. Fill up CIB form: CRO give a CIB (Credit Information Burue) form to the client and the client fill and sign in it. In some case if the client is illiterate then the CRO fill the form on behalf of the client. Then CRO send the filled and signed form to the SME, head office. The respective unit office sanctions loan to the client if it is 2 to 5 lacks, and then sends the sanction letter including all necessary charge documents to the loan administration division for disbursing the loan. If the amount is higher than 5 lacks then the respective unit office sends the proposal to SME, head office for sanction. The head of SME sanctions the loan and sends the sanction letter including all documents to the loan administration division for disbursement and inform the respective unit office regarding sanction of the loan. Prepare loan file: Receiving all documents, Loan Administration Division prepare a loan file with all documents received from the unit office. 2. Documents deficiency and problem resolving: If there is any error found then it informed to the respective CRO. If the application form is not filled properly then the file send to the CRO to fill the application properly. If any document error found then the loan administration division asked the CRO to send the require documents and the file stored to the loan administration division. 3. Documents deficiency and problem resolving: If there is any error found then it informed to the respective CRO. If the application form is not filled properly then the file send to the CRO to fill the application properly. If any document error found then the loan administration division asked the CRO to send the require documents and the file stored to the loan administration division. 4. Prepare disbursement list: The loan administration division lists all new sanctioned clients’ details and send a request to the treasury through internal mail. 6. Message sent to the unit office: Completing the disbursement, loan administration division sent a SMS to the respective CRO informing the disbursement of the sectioned loan. The repayment process starts immediately after one month of the loan taken. Suppose if a loan is taken in July 7, 2007 then the repayment process will be started from August 7, 2007 and the borrower will pay his/her first installment in that date. Before that date, the borrowers will be informed about the number of installments and amount of each installment. He can deposit the installment by himself or by the Customer relationship officer (CRO). Again they can deposit the installments either in any branch of Brac Bank or in any correspondence bank (where Brac Bank has no branch). If the borrower cannot pay the installment in the stipulated date, interest will be charged for each day before they pay that installment. Again interest will be reduced if the borrower pays the installment before the date of repayment. Interest will be charged and added to the principal amount for every month or every 3 three months depending on the policy for each loan disbursement. When the borrower repays any installment of the loan then he/she informs it to the unit office/CRO. Then the unit office/CRO sends an SMS through mobile phone or a Fax to the loan administration division informing the repayment. A loan administration division collects these SMS /Fax and takes a paper print of these SMS. Loan administration division entries the repayment installment information to the banking software MBS. Completing the entry, the loan administration division takes paper print of all vouchers in a prescribed yellow paper. The loan amount is not as large as it would be difficult to repay it. Mediocre entrepreneurs hardly default to repay loans. They are very conscious about their reputation in the market. As the loan is taken for meeting up of working capital, it can be easy to repay after the sales revenue is collected from respective customers. Average age of most of the SME borrowers is 31 to 40 ages. Average education of most of the SME borrowers is Class VI to X. Average Experience is 1 to 5 years (along with some extreme values). From the above chart we can see that recovery rate increases as the age of the borrowers increases. Here the recovery rate is lowest at the age group of 21-25 for the lacking of experience and knowledge in the related business. They can’t make the proper use of funds. And that’s why their business fails. At the age of 31-35 recovery rate is 100%. At that age group people like to behave professionally and control everything with strict discipline. They are highly concerned about their career which brings success to their business. So at that time recovery rate is the highest. Again at the age of 50 and above recovery rate is also 100% because of their huge experience and success in business. From the above chart we can see that Small and medium businesses are not highly affected with the educational background of the borrowers. That’s why recovery rate also is not much affected with the education of the borrower. There should be some other variables affecting it as well. Entrepreneurs who have sufficient personal assets and mortgage them for taking the loan have the record of higher recovery rate. They don’t have the tendency to make a default in paying the installments. Brac Bank likes to pay SME loans after collecting title deeds of those personal or family assets. People who don’t have much personal asset must show that they have sufficient family asset. Here from the above chart we see that entrepreneurs having lowest personal asset have the lowest recovery rate of 94%. From the above chart we see that entrepreneurs having retail business have a less recovery rate than the entrepreneurs having whole sale business. This may happen because whole sale business transactions happen at a large scale. So they can convert their stocks as well as accounts receivables into cash very quickly before the occurrence of any misfortune. In fact, income of a borrower can be a vital factor to repay his loan. And the above graph is a replica of this truth. Here we see that people with higher income group like 30000 to 50000 or above have the highest recovery rate. Entrepreneurs having a good skill, knowledge and experience in business can make success in their business which ultimately increases their income as well. So their recovery rate is good than those group of people who have lower income. BRAC bank, as we know, is one of the fastest growing banks in Bangladesh. SME banking which has made the performance of this bank so enlightened is its core product to offer to the small and mediocre business entrepreneurs. In fact no businessman could think ever before that they could take loan so easily, without any collateral and without going to bank. But Brac Bank has made this improbable process so successfully through SME banking. Age have a significant impact on the recovery of SME loan. Young entrepreneurs have a lower rate of recovery. On the other hand as middle aged and experienced entrepreneurs are very loyal with their loan repayment they can make proper and timely repayment of their loans. And that’s why most of the SME loan borrowers age rages from 30 to 40. Education does not have any direct relationship with the recovery rate. In fact, Most of the entrepreneurs of retail and whole business (small or medium in size) are not highly educated. Most of them studied up to class 9 or 10. Sometimes there are some entrepreneurs who have only alphabetic knowledge or who can give their signature only. But still they are running their business so well for many years. In this case experience makes them successful in their business. So, education does have much impact on these small and medium enterprises and also on the recovery rate of SME loans. Experience is the most significant variable which has a great impact on any kind of business and recovery rate as well. Experienced entrepreneurs run their business so tactfully, identify the exact time what is their pick time of sales and when they need fund. They take the loan in the pick season when they have excess demand but short of capital. Then they ensures the best use of the loan and finally they reach to success and make the dully installments. So their recovery rate is good and that’s why Brac bank looks always for experienced entrepreneurs. Number of installments (term of loan) and amount of loan taken do affect recovery rate slightly. But trends show that BRAC bank prefers to disburse loan of an amount of 300000 and at a term of 18 to 24 months. Another variable affecting recovery rate very much is the income of the borrowers. The higher the existing income of the borrowers, the lower the rate of default. Higher income groups make the best use of the loan they have taken and get success. On the other hand lower income group may misuse the loan and ultimately may default in paying installments. Personal or family asset might have some impact while sanctioning the loan as well as when recovering the loan installments. Suppose if a borrower fails to pay one of his installments, bank can find his personal assets as back up for the recovery of the installments. Retail business and whole sale business both types of businesses get loans from Brac Bank but whole sellers have a higher recovery rate as their business transactions occur at lot size and their collection is much quick. Finally we can say that SME loan is a loan given especially to entrepreneurs who are experienced small or medium businessmen, more or less middle aged, at least moderate income generated and who have reasonable personal or family asset. That’s why their recovery rate is so high that is 97%. And their default rate is so small compared to other loan categories. Sometimes borrowers go for early settlements of their loans. Considering all the findings and analyzing all the data the following suggestions are made, which will benefit both BBL and its customers. As we have seen that 11pm to 3:30pm is the main rush hour, so necessary CSA’s should be allocated in that time. From the customers’ suggestions we also found that it is very needed to increase the proper allocation of manpower to improve the service quality. The number of telephone/mobile should increase so that customers can call at daytime. Telephone/mobile busy related troubles should be decreased. The authority should minimize the problem solving duration and call waiting duration so that the overall customers’ satisfaction increases. Another very important thing from my personal observation is that one person calls for several times for the same problem, which increases the call frequency. Proper assurance and solution over phone can a better alternative to reduce extra calls and it also reduce the call waiting duration. It was found that the DSAs (Direct Sales Agents) are mostly the source of providing miss information to the cardholders about their cards. So, necessary steps should be taken so that they avoid this practice and give proper product information. Only understanding the customer problem will not highly satisfy them unless individual attention and caring highly satisfy them. So proper individual attention and caring should be more to highly satisfy customer. The service providers should give their best keeping in mind that all kind of customers can get the service. Because most customers think that all the customers can avail this benefit. From the CSAs some body should make supervisors and they should give the responsibilities in different areas (currier, lost card, statement etc). It is very good news that for every evening shift there is one supervisor. But the concept of supervisor should change from shift wise to task wise. Proper monitoring the activities of the call center could be better solution for handling queries. In fact, Brac bank promotes broad-based participation in the Bangladesh economy through the provision of high quality and modern banking services. SME loan is one of such quality product through which they offer the small and mediocre entrepreneurs a quality banking services and earn the maximum profit as well. The recovery rate of this loan is 97% which is extremely good in comparison to any other bank’s recovery rate. Brac Bank has made it possible as the loan is given to experienced, small and mediocre entrepreneurs most of whom are middle aged, slightly educated and having moderate income and this class of people is very loyal. But they can serve this class of customers with more commitment and loyalty and they can turn the recovery rate to 100%. For this they can make the following policy implications. Redefine mission/vision towards achievement of “Double Bottom-line”. Commit resources specifically for growth of SME business. Implement strict and continuous monitoring system of the whole recovery process. Train the Customer Relationship officers more comprehensively and realistically so that customers may not face any trouble while getting and repaying the loan. Analyze customers’ behavior that what type of customer makes default and stop giving them SME loan Risk Management department’s audit report should be more strict and reliable so that possible defaulter may not get the loan. Whether the borrowers are utilizing the loan on the right purpose should be ensured. 2) Valuable discussion of supervisors during the period of internship. 3) Prospectus Of BRAC Bank Limited published in July 2007. 7) Practical knowledge from BRAC Bank Limited.